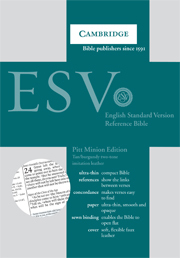 The New Revised Standard Version of the Bible is a complete and thorough revision of the Revised Standard Version. 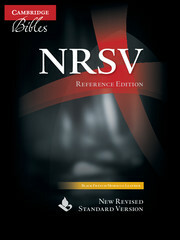 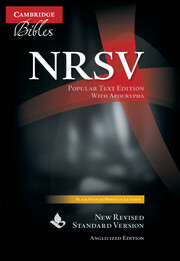 First published in 1989, the NRSV incorporates the latest modern biblical knowledge, yet enables readers to understand the text easily and accurately. 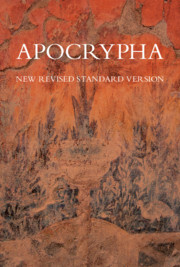 One significant new feature is the use of common-gender words, instead of masculine ones, where the intention of the ancient texts is clear. 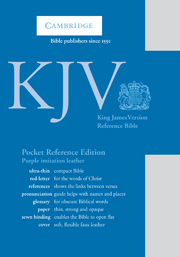 As well as the New Testament, this slim volume incorporates the Psalms and Proverbs. The NRSV New Testament has been designed in a diary format and will fit easily into an inside pocket or a handbag. 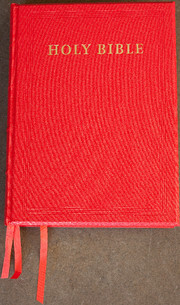 It is bound in soft imitation leather in a choice of black and burgundy.